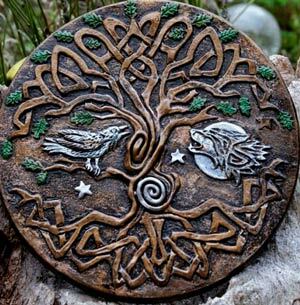 Norse Viking Tree of Life Wall Plaque. 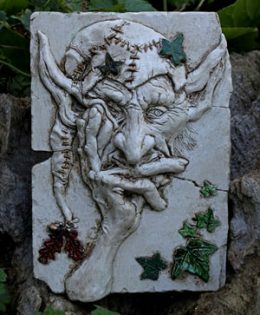 Hand made in Wales by Kathleen Minton. with symbolism dating back to ancient times. acknowledging Mother Earth and Father Sun. the Wolf and the silver Moon. and suited to outdoor use. Anti Theft of Copyright & Design. 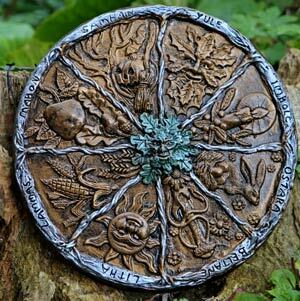 Be the first to review “Mystical Wall Plaque Collection: Tree of Life” Click here to cancel reply.